Hema non-cash supermarket in China. IT'S one of the fastest growing retailers in the country - working with well-known names from Chemist Warehouse to Woolworths and Kathmandu - yet most Australians have never heard of it. China's Alibaba, often compared to America's Amazon, has said Australia is now the firm's third largest overseas market. That it has grown so much Down Under should be a wakeup call to laggard Australian retailers failing to keep pace with their customers, one of the firm's top local executives said. "When you look at retail experiences it's clear China is a long way ahead of Australia," said the company's Australian head of marketing James Hudson. Alibaba already has 2000 retailers signed up to its Australian platform. Picture: AP Photo/Ng Han Guan. 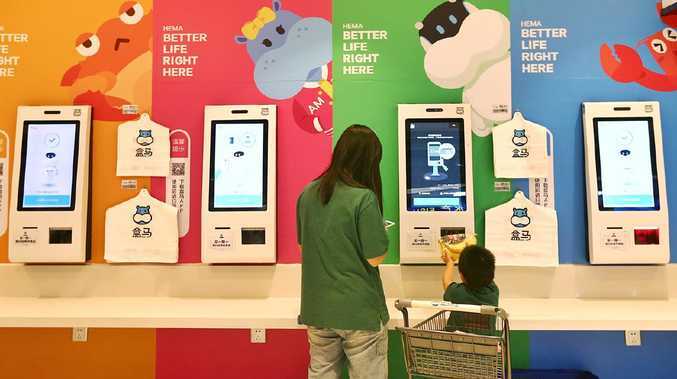 In its home market, Alibaba is rolling out vending machines that spit out cars, cash-free supermarkets where your shopping can beat you home and "magic mirrors" where you can virtually try on make-up. In Adelaide, shops still can't open on a weekend later than 5pm. Alibaba, founded by entrepreneur Jack Ma, is spruiking a range of shopping concepts it calls "new retail" which effectively merge the online and offline worlds. Some of these concepts will feature at upcoming Alibaba eCommerce expos in Sydney and Melbourne in September and October where it hopes to sign up more Australian retailers - large and small - to its new platform. The company claims to already have 2000 Australian companies on board its Tmall shopping website. This includes big brands like Bellamy's and Blackmores. Woolworths even has its mini supermarket on Tmall selling infant formula, Weet-Bix, metamucil and white wine. But Alibaba's ambitions go beyond signing up Aussie brands. It reckons it can change how we shop. "New retail is the convergence of online and offline into one seamless and exciting experience for consumers," Mr Hudson told news.com.au. But isn't "new retail" an admission that the long-expected death of bricks and mortar stores was overstated? "Online is not replacing offline. Those two experiences are complementary so some consumers will want to see a pair of jeans, to taste something, to have that sensual experience. "Our focus is on following customers and helping them use method of choice in these markets." 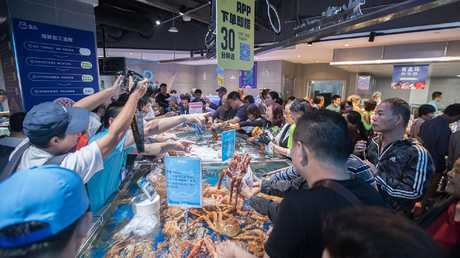 One of the examples of new retail in China is Alibaba's Hema supermarket chain. You may have heard of Amazon's Go stores, where you don't use cash. Alibaba reckons it's taken the concept several steps further. "When you go into a Hema it's like no other store, with bags spinning round the ceiling and seafood being cooked," he said. 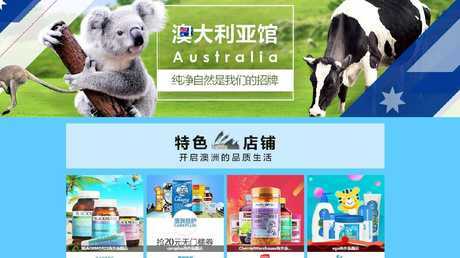 The front page of Alibaba Tmall’s site dedicated to Australian products. Around 60 per cent of purchases are made online away from the store and 40 per cent within the supermarket. But all purchases need to be made on the Hema app - cash is a thing of the past. If you live with a 3km radius of the store, you purchases will then be packed up, including the odd fresh crab if that's what you fancy, and cycled to your door within 30 minutes. 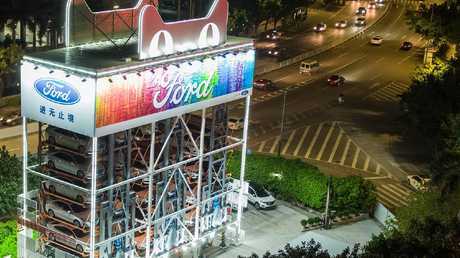 In the southern Chinese city of Guangzhou, Alibaba and Ford have built what is effectively a giant car vending machine. Buyers can avoid pushy salespeople by ordering a car to test drive and once they get to the vending machine out it pops like a Mars bar. In some shopping mall bathrooms, "magic mirrors" have been installed to allow people to virtually try on different lipsticks and clothes. If you like what you see you can then pick it up from a vending machine. Milk bars are also getting in on the act by going online via the company. Alibaba’s Hema supermarket — not your usual online store. But very ‘new retail’. Mr Hudson said it was this kind of innovation that was going to get people back into physical shops, and it was sorely lacking in Australia. "When you go to China and look at those retail experiences it's pretty clear that China is a long way ahead of where Australia is, in how these environments are interpreted to make them more fun, enjoyable and convenient for consumers. "This is how the future of retail could look like in Australia." In China, 20 per cent of all retail sales are online while in Australia it's just 7 per cent which means there's lots of room for canny companies to grab a share of the pie. Alibaba has already brought some of these innovations to Australia. It set up pop-up shops in areas of Sydney and Melbourne with high numbers of Chinese residents and visitors. This included the magic mirrors. But if you haven't come across Alibaba yet, there's a good reason for that. The company has said it isn't really focused on mainstream shoppers and instead is doubling down on the Chinese market, many of whom already use its online tools such as the Alipay payments app. "There are already around 10,000 retailers and attractions in Australia that use Alipay purely focused on Chinese visitors. The second they arrive in Sydney, they can open the app, see what stores are around and collect coupons and promotions to use in stores like Chemist Warehouse and Kathmandu. 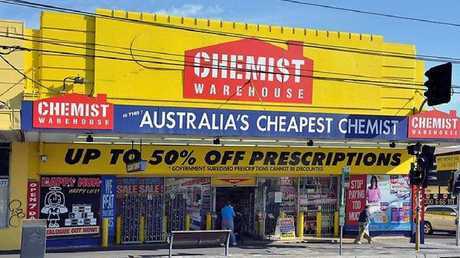 Chemist Warehouse has signed up to Alibaba in Australia. Chinese tourists made a beeline for products that feed into Australia's image of being clean, green and safe. Yep, that does mean infant formula, said Mr Hudson, but also pharmaceuticals, activewear, beach wear and fresh produce like mangoes, cherries and seafood. An astounding statistic is that of the one million Chinese tourists who come to Australia each year, one third will visit a single attraction - the Sydney Fish Market. Unsurprisingly, the market is fully on board with Chinese payment systems. Mr Hudson said the aim was to making shopping in Sydney as "seamless" as in Shanghai. 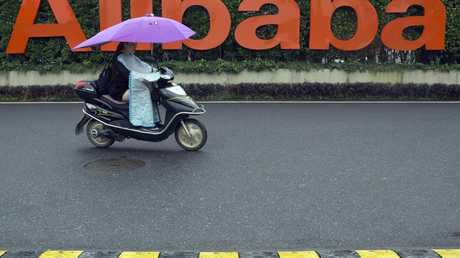 Australia is now Alibaba's third biggest market outside China, behind the US and Japan. But despite its size, the firm seems happy to remain under the radar and isn't looking to pick a fight with Amazon. James Hudson of Alibaba Australia. While its market capitalisation is a nothing to be sniffed at, at $450 billion, it is still only half the size of Amazon. However, both have been tipped to break the $1 trillion mark within the next few years and Alibaba says it's the largest global retail firm in terms of overall sales. 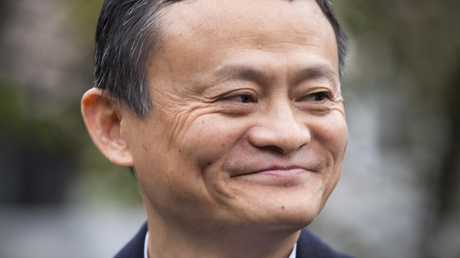 Mr Hudson said Alibaba was more focused on developing markets such as Russia and India. Its focus in Australia was more niche. As well as visitors, there are also the Chinese diaspora who use the service to import products that are hard to find here - like tofu makers for instance. 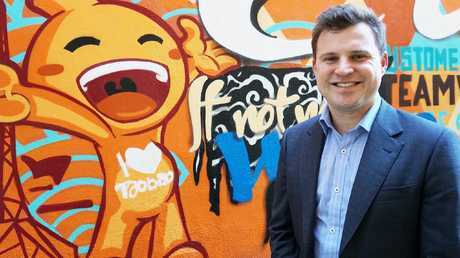 "Australia is a really important market for Alibaba, but it's important from a merchant and product perspective. We're not really focused on Australian consumers - it's about taking high quality Australians products to Chinese markets," he said. "There's a world of opportunity for Australian retailers, for Australian brands, for mums and dads (creating businesses) in garages. "It's how they leverage the internet to extract a lot more value for themselves and the customers and that the core message." 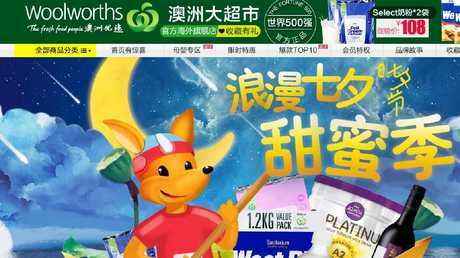 Woolworths has its own shop on Alibaba’s Tmall website. An Alibaba and Ford vending machine in Guangzho.